'A Blue Ridge Haven' is a contemporary Appalachian Style Log Cabin nestled in the heart of the Blue Ridge Mountains and overlooking the headwaters of the Dan River. 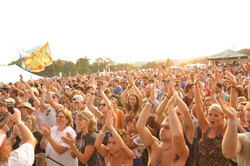 FloydFest is a four-day World Music Festival held annually in the Blue Ridge Mountains of Virginia, showcasing the best in World, Bluegrass, Reggae, Folk, African and Appalachian music, as well as quality local Arts and Crafts. Join Across the Way for their other great productions of Floyd Fandango and music in Downtown Roanoke. 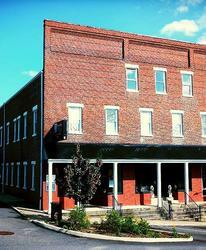 This newly renovated apartment is in the Isham Barnard Historic District in the heart of Kibler Valley. 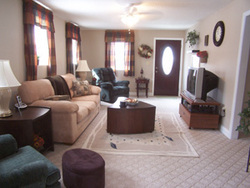 The two bedroom, two bath apartment has a fully equipped kitchen and a gas grill. Linens are provided. Minimum stay two nights. 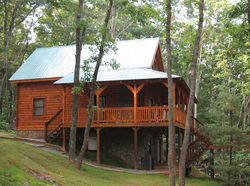 Blue Ridge Real Estate offering all type of real estate needs along with log cabin rentals. If it's the smell of the campfires, the taste of outdoor cooking, the sounds of kids splashing in the pool, the feel of a fish tugging your line at one of our ponds or the sight of kids roasting marshmallows......camping has plenty of old-fashined fun to offer your family! Secluded cottage on 5 acres. Sleeps 4. 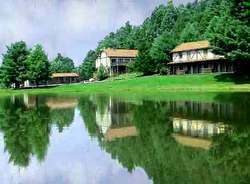 If you are looking for a place to get away from it all, this is the perfect retreat for you! Sit and listen to the peaceful stream, make a fire in the fire pit, enjoy the outdoors as it was meant to be enjoyed! 2 night minimum. Weekly rates available. NON-SMOKING. 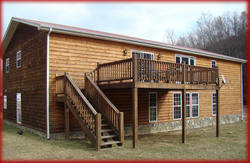 We are conveniently located in the heart of the Blue Ridge Mountains adjacent to the Blue Ridge Parkway. 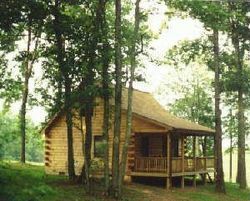 Our new log cabins offer luxury accomodations and are fully furnished. We are perfect for RV's, large and small. 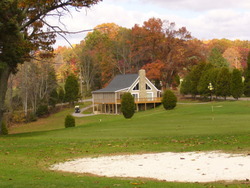 We are close to grocery and gift shops, hiking trails and wineries. 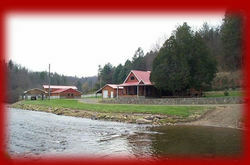 Has rental houses at Meadows of Dan for vacation or summer homes. 5.7 miles north of Mabry Mill. Mile Post 170.4 Two houses on the site of the Floydfest. Easy access to the National Park Service hiking trails. Poor Farmer's Guest House consists of two seperate cabins. One of them is right on the Dan River and the other is located on a farm near the Chateau Morrisette Winery. 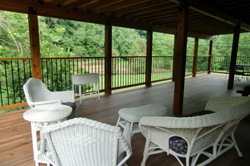 Each offers seclusion in the beautiful Blue Ridge Mountains. Each is also fully furnished and equiped with linens, towels, kitchen appliances and a double bed and sleeper sofa. For rates or any other info, contact Felicia Shelor at 276-952-2670 or visit the website: www.poorfarmersmarket.biz. Step back in time to a simpler way of life in this newly built cabin with it's hand hewn interior and exterior logs. 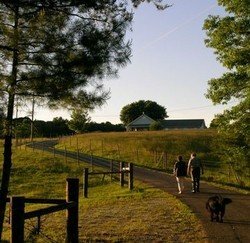 Covered porches with views of the surrounding Patrick County mountains makes it a perfect place to start and end one's day as the sun rises or sets. Listening to the rippling water flow from the Rye Cove Creek directly below is a great way to catch that peaceful easy feeling. 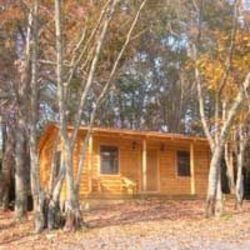 Cabin is fully furnished with modern amenities. 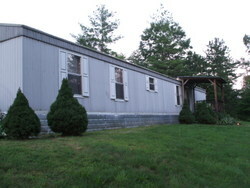 Sleeps up to 5 with a King and Queen bed, as well as a day bed for smaller children. 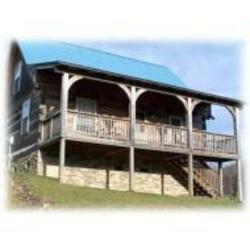 Nestled on a ridge of 6 acres, there is plenty of seclusion but also convenience. Only 6 minutes from the town of Stuart. Located on the grounds of the Kanawha Valley arena which holds rodeos, Civil War Reenactments, mud bogs, truck pulls. Restuarant and saloon available. ATV and Horse riding trails available. RURAL RETREAT This is a rustic seven room Guest House in a rural, bucolic atmosphere with a spectacular view of Bull Mountain in Patrick County, Virginia. 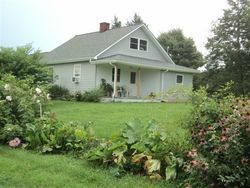 Just one mile north of US Route 58, The Orchard House sleeps as many as six in two rooms upstairs, has a full kitchen, a new bath and laundry, and is handicapped accessible. A downstairs bed is available next to the bath for those who don't negotiate the stairs. Camper, or RV parking spot has water, power and sewer hookup. Located on the grounds of the Kanawha Valley Arena, which holds rodeos, Civil War Reenactments, Truck Pulls, Mud Bogs. ATV and horse back riding trails are available. The Virginian offers 23 units with standard size rooms rooms with two double beds, rooms with king size beds. 24-hrs. wake-up calls. Color TV with remote control and HBO, ESPN, TNT, TNN, CNN and more. Free coffee. Commercial and group rates. All suites are non-smoking, and there’s a no pet policy. All have secure, coded locks, password-connected wifi, flat screen televisions with USB port, fully accessorized kitchens, dedicated office space, individually controlled air systems, full-sized microwaves and refrigerator, remote-controlled ceiling fans, and windows with blinds and black-out curtains. Maid service is provided once a week for long-term guests. Additional laundry service is available upon request. An on-site exercise room will soon be available. All units are available on a nightly, weekly or monthly rate. 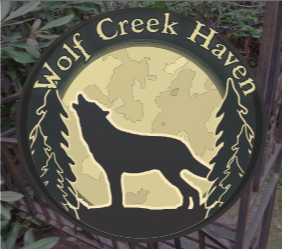 Wolf Creek Farm is right off the Blue Ridge Parkway and only minutes from Mt. 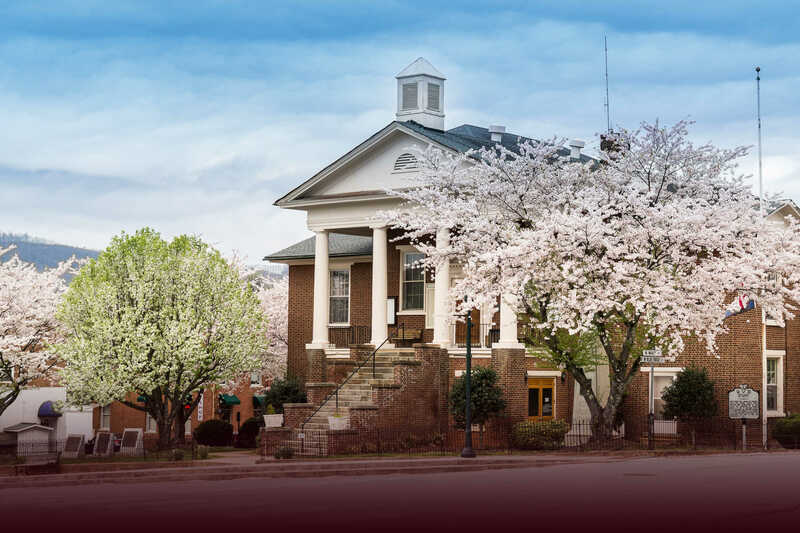 Airy, NC, a charming town made famous as "Mayberry" in the "Andy Griffith Show". 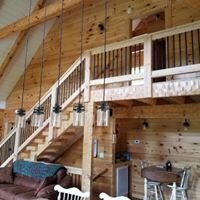 This unique Bed and Breakfast is a Country Retreat for Couples, Single Travelers, or Families seeking serenity and recreation in a lovely mountain-view setting. Our 102-acre working cattle farm with a well-stocked 5-acre fishing pond is the perfect Country Retreat for anyone seeking End-of-the-Road Seclusion and Privacy. 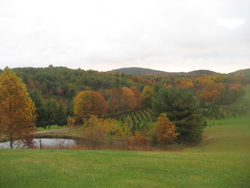 Our mile-long drive is completely paved, making a trip to Wolf Creek Farm a delightful drive for motorcyclists. Children welcome with well-behaved adults! Playhouse, swings and sandbox on property for their enjoyment! Open Year-Round. Call for Availability. Minimum stay required for weekends, Martinsville Race Weekends, Bristol Race Weekends, Mayberry Days, Autumn Leaves Festival, Virginia Peach Festival and Holidays as determined by innkeppers. 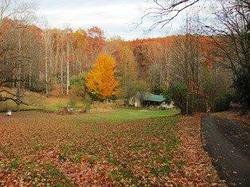 Wolf Creek Haven is a small campground located in the southern foothills of Virginia. 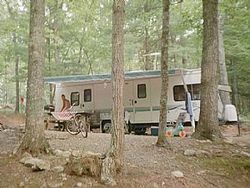 We offer 10 sites; each site has its own fire ring, firewood, grill, and a sandy bed for your tent. Also, there is a 24X24 covered shelter along with privvies. We have several packages from which to choose that will make for a camping experience you’ll long to return to! 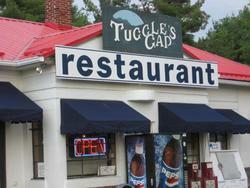 Conveniently located near the Blue Ridge Parkway. Milepost 174.1, turn on Woodberry Road. Beautiful setting. Friendly atmosphere. Affordable dining. Comfortable lodging. Open Year Round.